I saw several Game Masters on Twitter share this product so I decided to give it a try. Before I get into my review, let me share some a couple of those tweets so you can see the fun usage they’ve gotten out of these tokens. Alright! 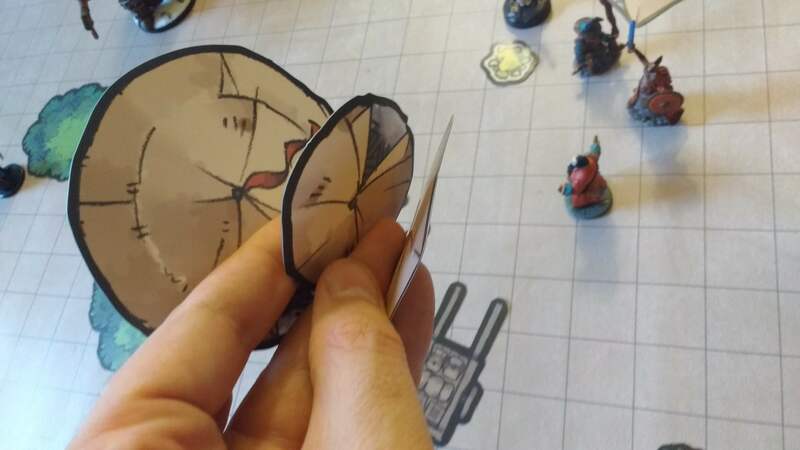 So you can see that the above Game Masters made great use of this product. Now on to my review. I decided to order the camping set because wilderness adventures have ended up looking rather boring. I liked the illustrations but would have preferred more foliage. I know, I know it’s the camping set not the forest set. The material is a thin rigid matte plastic. I’d expected something thicker and with a bit more give but this works. The tokens are printed on both sides with the same illustration. This is a nice touch but it did seem like a missed opportunity to increase variety by having slightly different illustrations on each side. 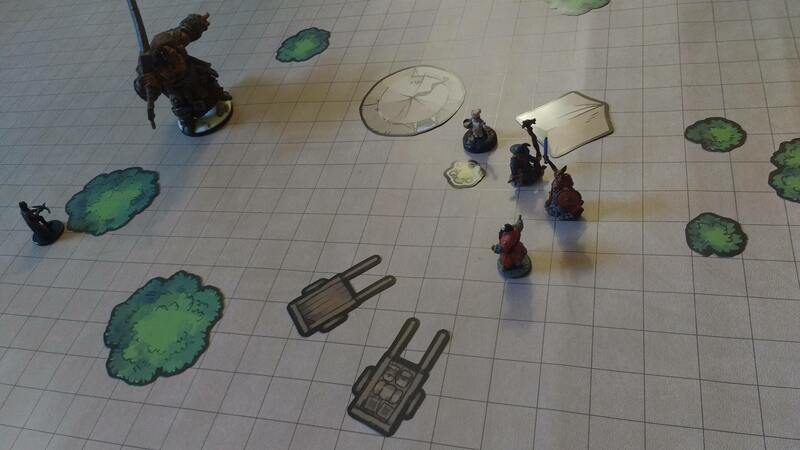 The tokens really bring some life to the mat without obscuring visibility. The matte finish was a great call – the glare from a glossy finish would have obscured the details. As seen in the tweets above, the tokens look great with some simple marker drawings and I’m looking forward to playing with that in session. 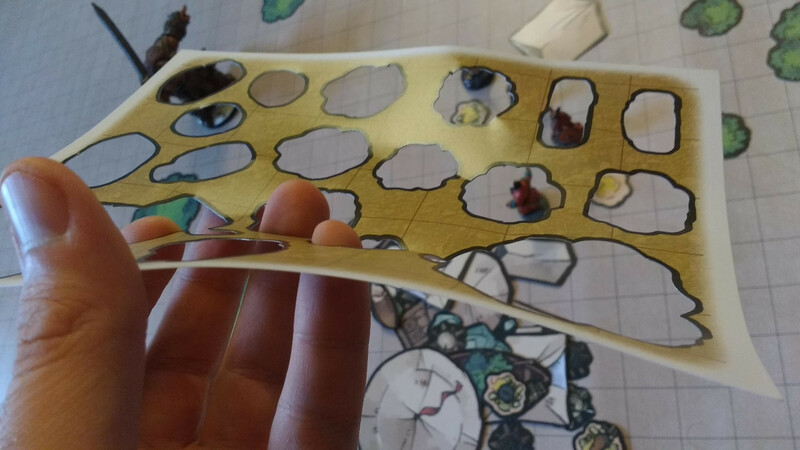 My table can get pretty rough – this is why I dip every miniature in polyurethane – so I decided to test out the durability of the material. Yeah. It looks like once bent it will remain bent out of shape forever. It also got out of shape when “roughed up” a bit. This is going to be a challenge for me. 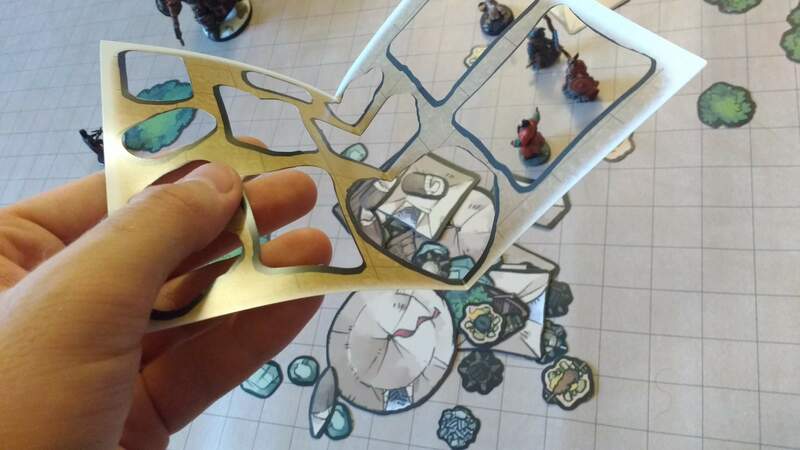 These tokens are a great idea and – relatively – inexpensive compared to most terrain options. The illustrations are fun and they add a lot visually to a mat. The material is a bit of a letdown – these going to get roughed up at my table and they won’t simply fall back into shape. 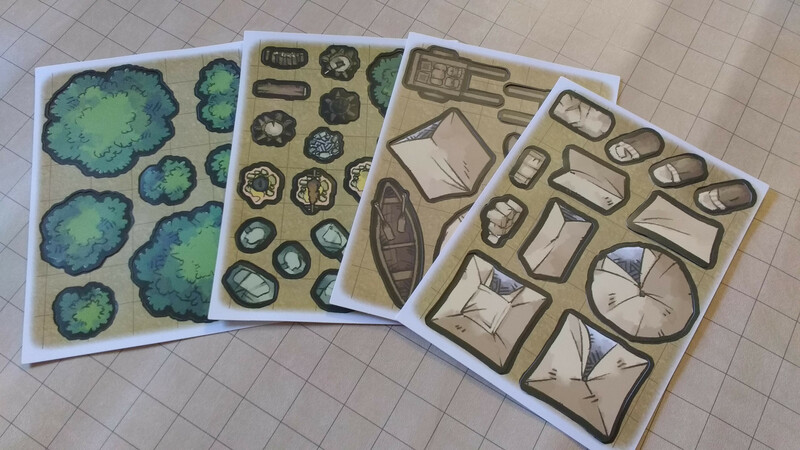 I’d definitely recommend these but, to be honest, I’m now tempted to see how printing some online play terrain packs on cardstock and sealing them with matte lamination compares.